Intelligent Ballast Control system provides occupancy sensing, daylight harvesting and dimming control in a single integrated system. 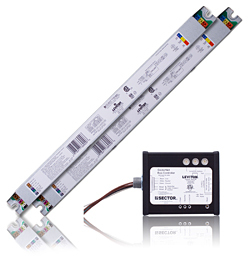 The Sector Ballast Controller (SBCS0-000, SBCS0-001) enables control of 0-10VDC dimming ballasts for LED, cold cathode, or other sources as part of the SectorNET system. Used for individual fixture or entire zone control.